So where is the best place to invest your political dollar in the final 10 days before the election? I think the best investment is in the Senate races. Obama has the presidency won and has an obscene amount of money. So giving to Obama isn’t worth it. McCain will just spend his money on more clothes for Palin. The House is firmly in the hands of the Democrats. But in the Senate where Dems hope to get to 60 seats, that’s where the real battles are. 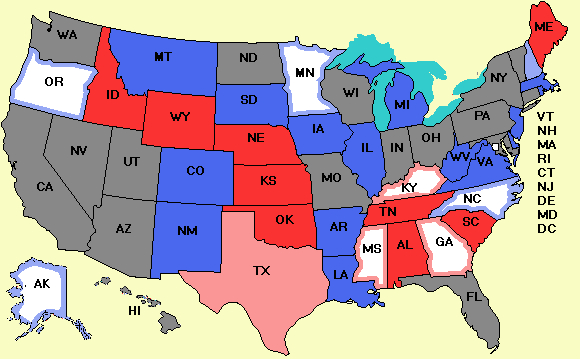 So – depending what side you are on the battleground comes down to 7 Senate races. AK, MS, GA, NC, KY, MN, and OR. If you’re going to fight the good fight you need to be able to find the battlefield.